My hubby and I finally paid a visit to this coffee house, after months and months of passing it by, and wanting to check it out. It’s a cozy little place, with a well-versed barista at the ready, to make whatever you like. We decided to have iced coffee, so he made us iced Americanos, since they were out of drip coffee for that day. We also got a piece of iced lemon pound cake to share…one of many baked goodies, brought in by a local baker in the area. The Americanos were freshly crafted, and the pound cake had just the right amount of lemon for us. 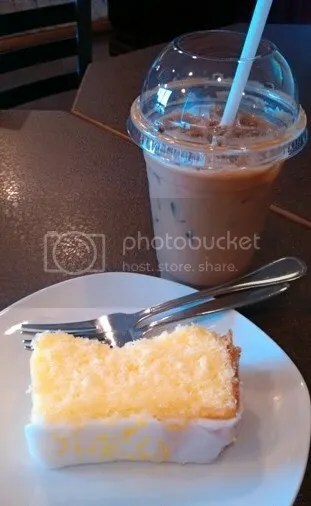 Most times we do take-out, but on this day, we chose to enjoy our drink and cake, at one of the nearby tables. 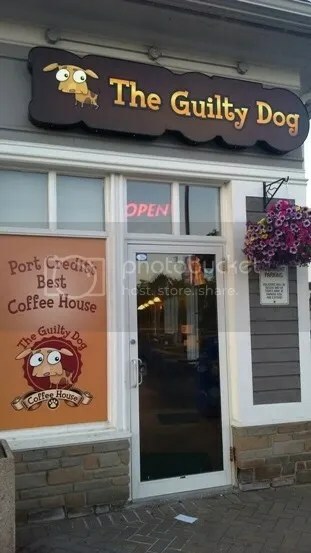 The Guilty Dog, has a nice atmosphere, and we’ll definitely stop by again soon. If you’re ever in the Port Credit area, you should give them a try. They’re located in the plaza just west of Port Credit Harbour, right after the Royal Bank. For a bit more info, you can peruse their page below, as they don’t have a dedicated website. ← Happy 147th Birthday Canada! !